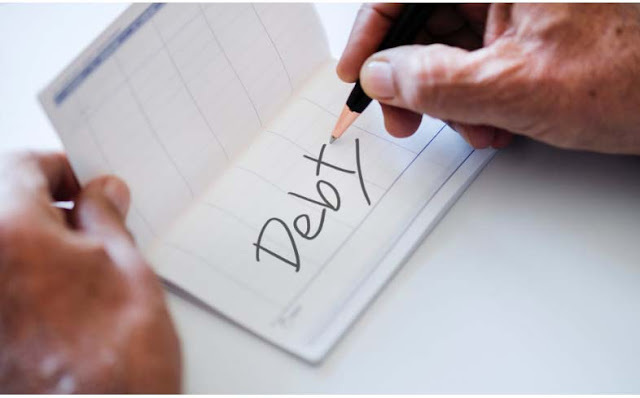 I want to share something personal with you it's very practical as well, I want to talk about how to put together a budget to pay off your debt when you're in a very low income. These 8 tips are not relevant to everybody, so if you're reading this from anywhere in the rest of Europe or in the States, the 8 tips might not make that much sense to you. You're either paying rent or you're paying a mortgage. If you're paying your mortgage then you might consider if you're in a really tough situation and you have a lot of debt and you can see that your income will be pretty low for a long time, then you might consider selling that house and getting an apartment instead. I'm not telling you to run out and sell your house, I'm just telling you to consider what are your options. This is not for everyone - but this is what some people choose to do to make it go faster. It might not be for you but you might have other options, just take a good look at what your options are and you're going to probably have to sacrifice something. It's general groceries and everything you get in a grocery store, This is something I really struggle with over the years. I tend to spend more on food than I plan for, so this is one area where I've always had to restrain myself and be extremely disciplined. A few things that you can do to help your money go further in this category is, of course, to make things yourself, cook at home, cook your meals yourself, even the lunch and the breakfast ones. One thing that's really important here is to not shop when you're hungry. Obviously, you have to eat properly and get all your nutrition, but try to be creative in this area. Another option is to maybe sell your car if you really need a car then you might be able to take some of that money and buy an older car with cash, and use that difference that you get out selling your car to pay off your debt faster, it goes a long way whatever money you can rack up to put towards debt really makes a big difference. It could be magazines and stuff. You can go to a friend's house and watch or you can watch some of the movies that you've already purchased during the years. There are many options for entertainment, even though you might be without your cable for a while. Keep in mind you can always start up your Netflix or HBO again later when you have a little bit more money every month. Maybe just think of it as something you do without for a few months, six months, or a year maybe two years, and then you join them again. One thing that is completely sure is that something is going to come up, and you just don't know what it is. I budget $60 every month for this and I always like having it there. Putting even just a small number aside every month will give you a little bit of a cushion so it doesn't throw you off and you can regain your strength really faster and stay on your budget. Save some extra cash every month into an emergency account just to put a little bit wiggle room between you and whatever might happen, i didn't do this but I would really recommend that you do it even if you can save up $20 a month it really goes a long way for giving you peace of mind that if something happens then you'll have at least some money saved up to put towards that. That's it, folks, that's everything I wanted to share with you I hope this article isn't too long but there's a lot of say about budgeting and getting out of debt in general.